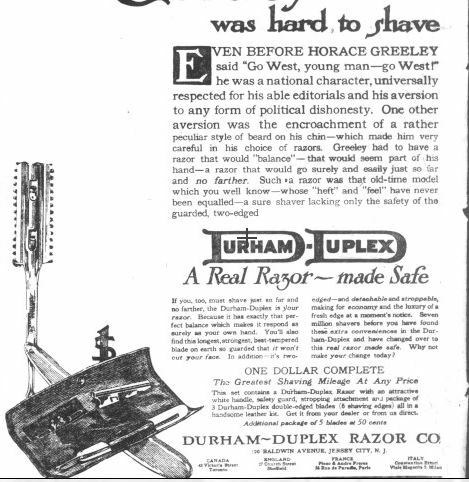 Durham Razor Company Inc was founded in New York in 1908 by Thomas C Durham. The first Durham patents were filed in 1906 and the inventors listed were Durham, Sidney I. Prescott, and Thomas C. Sheehan.​ T.C. Sheehan served as general manager of the company in 1909 and became vice-president and director in 1911. 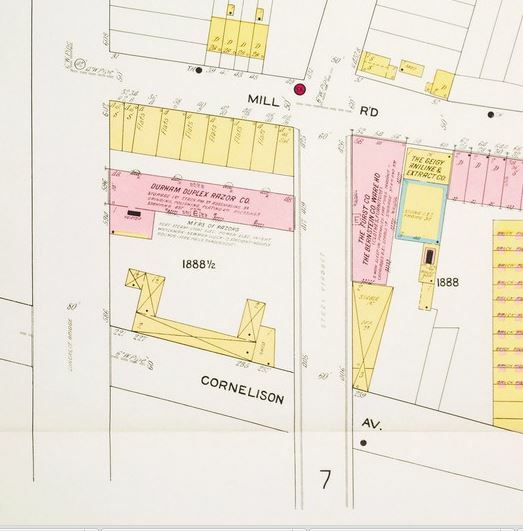 By 1910 the company had been renamed Durham Duplex Razor Company and had its factory in England and one on Montgomery Street In Jersey City. Sheehan had plenty of experience in linotype and printing machines plus an inventive mind and set out to increase the output of the company by making it less complicated to use in its construction. ​His efforts resulted in the inventions of a hardening machine, grinding machine, polishing machine, honing machine and a stropping device. This resulted in a increase in the output of the company. 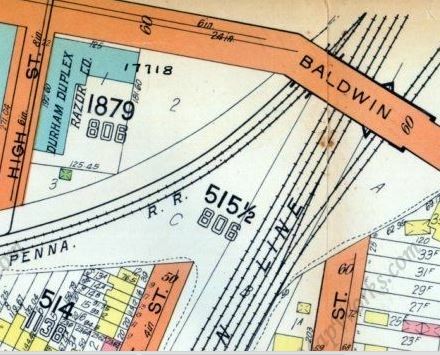 On March 19 1916, a fire gutted the Montgomery & Mercer Street plant, causing $100.000 dollars in damage. 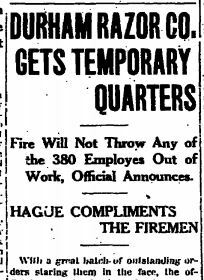 Although the business took a severe blow, they would not let the fire get them down, nor would they allow the workers to go without, so they secured two floors in a factory downtown to house the company temporarily. 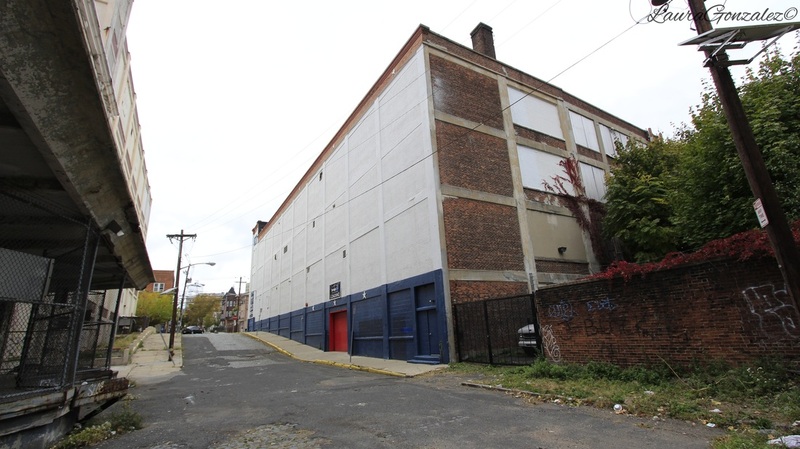 Luckily for the company, they were already in the process of building a new facility at 190 Baldwin in Jersey City. They also had managed to salvage some of the machinery and put them in serviceable form. 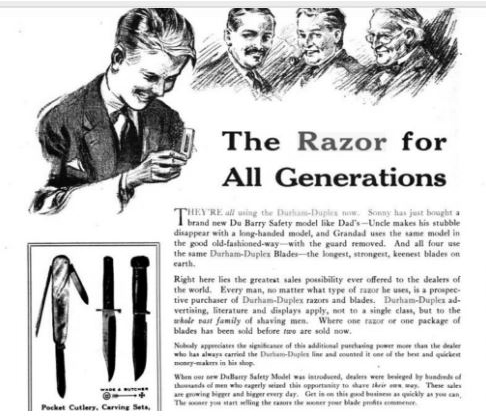 Between the 1940's and the 1960's the shaving side of the business slowed with competition and the USA facility shifted production to concentrate on surgical products leaving UK to supply razor blades to the World.​ The 1960's brought about the Hippy movement which reduced the market still further and the company slowed once more. In 1974 the company was purchased by Edward Turner and Son Ltd and the name was shortened to Durham-Duplex Ltd. 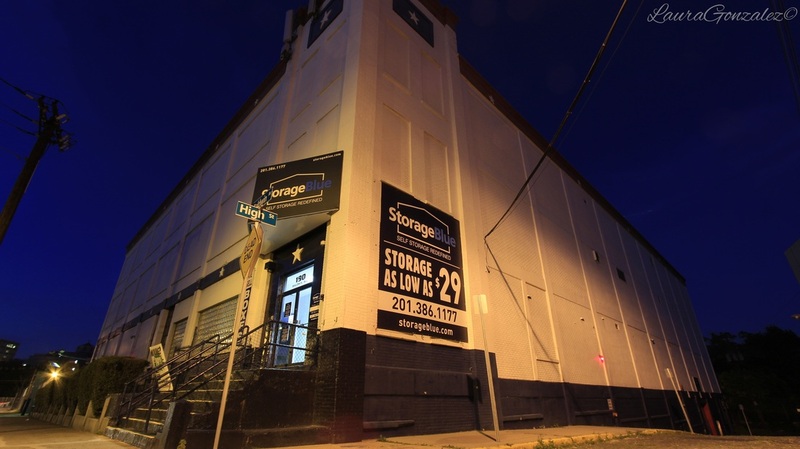 The company still exists and the building on Baldwin still stands and has been re purposed as a storage facility.